Jane Austen and Her Work. 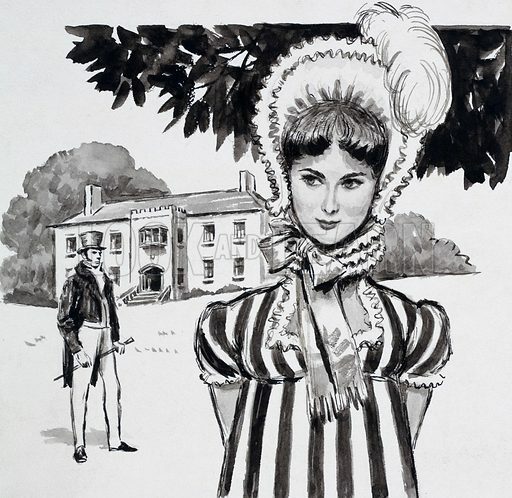 Fanny Price at Mansfield Park with her cousin Edmund in the background. Original artwork for one of the illustrations on p5 of L&L issue no. 142 (3 October 1964). Available worldwide for immediate download up to 4,058 x 3,943 pixels.